Understanding and Using English Grammar - завершающая часть грамматической трилогии Бетти Азар - классический текст для студентов, знания которых находятся в интервале от промежуточного до продвинутого уровня. Для книги характерно чёткое изложение материала, сопровождающееся способствующими его усвоению иллюстрациями. Третье издание отличается от предыдущих тем, что в нём сделан больший акцент на коммуникативный аспект английского языка в его американском варианте. Understanding and Using English Grammar by Betty Azar - the classic text for upper-intermediate through advanced students provides a clear, visual presentation of grammar in terms easily understandable to students. Grammar explanations teach situationally appropriate English. 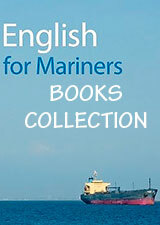 The Talking Heads were developed to introduce grammar charts on the CD-ROMs that accompany Understanding and Using English Grammar (blue book) and Fundamentals of English Grammar (black book). I wanted to find a way to speak directly to students who were using a computer program. To do this, I came up with the solution of creating grammar characters, animated cartoon characters named for aspects of English grammar. I affectionately call them Talking Heads. These characters are the closest I could come to getting inside a computer myself and talking directly to the learner. Creating these grammar characters is some of the most enjoyable writing I've ever done. Vocabulary Worksheets help students learn new vocabulary in the context of the grammar covered in the tables of contents of the Azar-Hagen textbooks or any comparable syllabus. An Answer Key and Word List for target vocabulary are provided for each chapter. You may download, reproduce and adapt the material to suit your classroom needs..
Материалы всех трех уровней Вы можете скачать на нашем сайте.